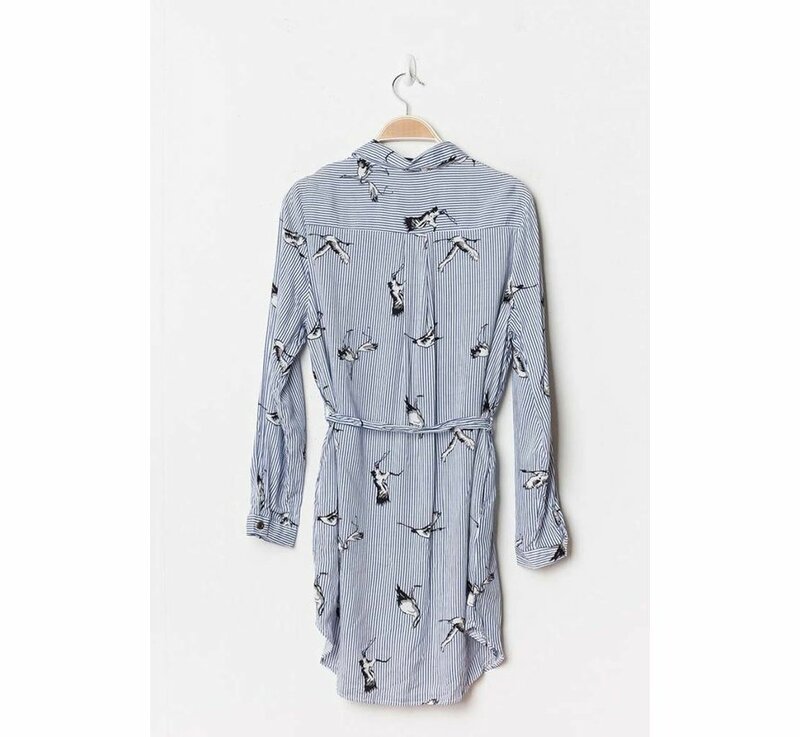 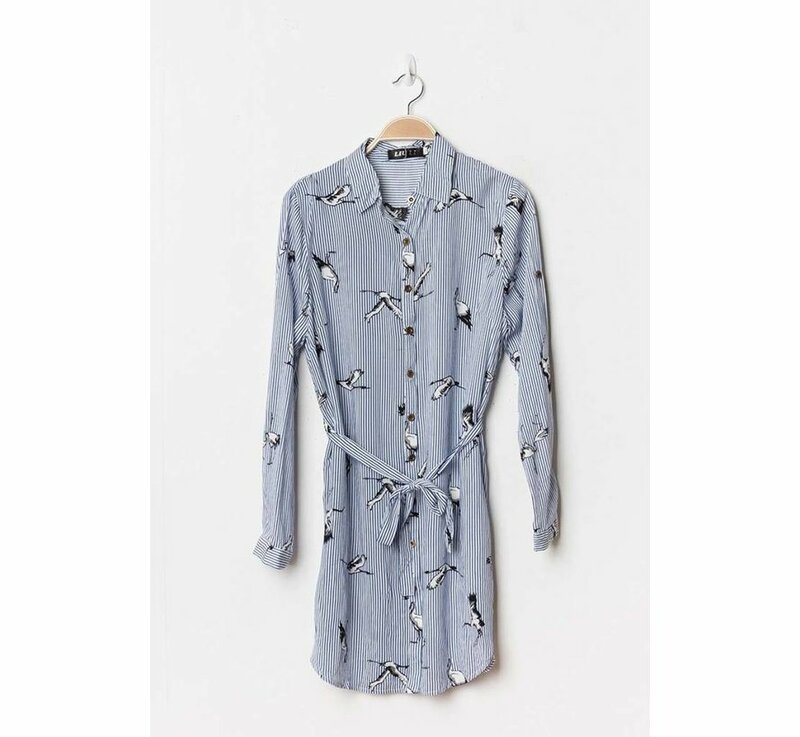 Put your waist in the spotlight with this shirt dress and attract attention with its fantastic print. 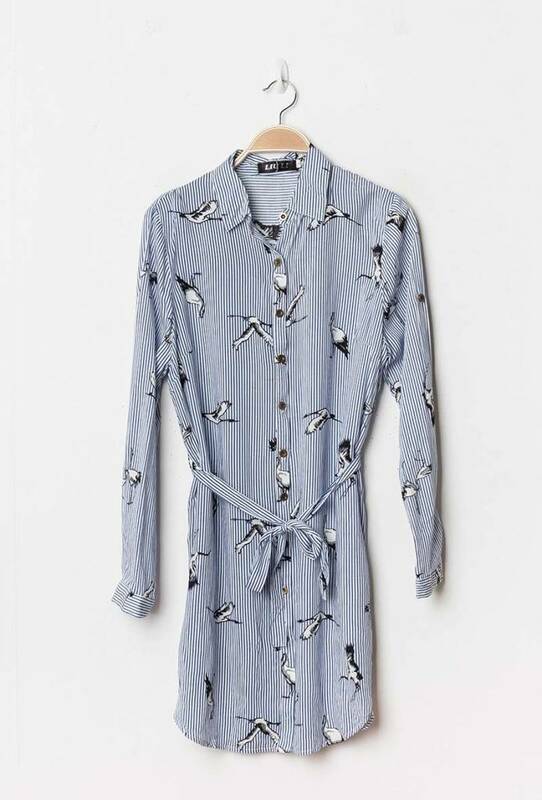 This blue striped dress comes in both a dark blue and light blue color. 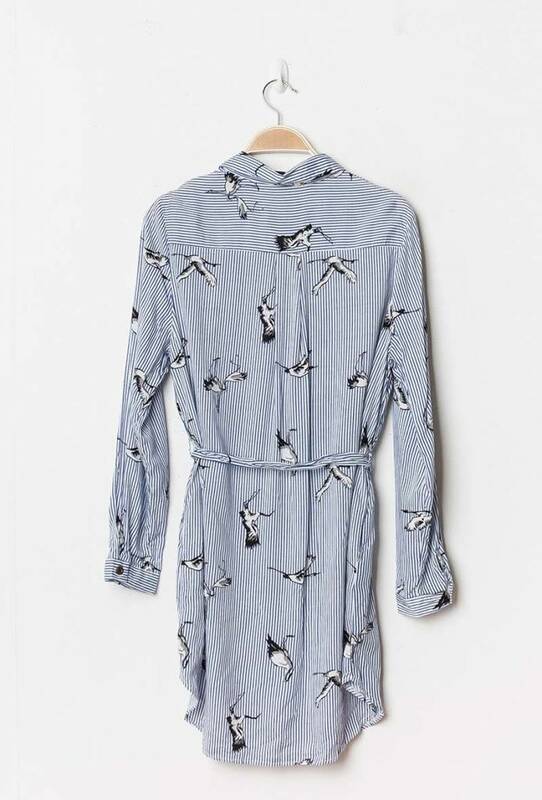 We love our birdy!